Net Literacy’s programs are independently used by students from New York to California and around the world. The US Internet Industry Association submitted a Filing to the Federal Communication Commission naming Net Literacy’s model as the preferred approach to reducing the digital divide in the United States. 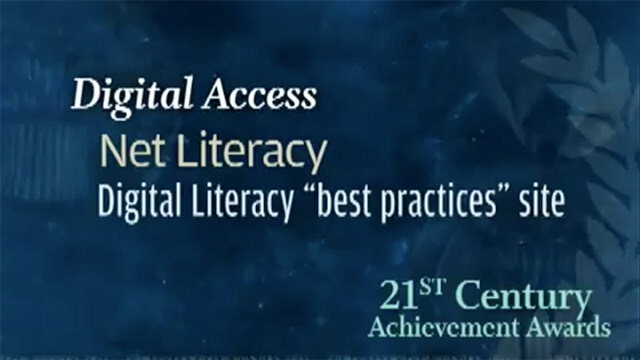 Net Literacy was selected by the European Union Study on Digital Inclusion as one of the “91 most promising good practice initiatives” based upon an investigation of 32 countries including the EU Member States, the United States, Norway, Iceland, Canada, and India. Microsoft’s publication Innovating for Inclusion: A Digital Inclusion Guide for Those Leading the Way, cites Net Literacy as one of the best of class digital inclusions examples. Other organizations and consortiums, including the US Broadband Coalition with 170 members that range from Google to Comcast and from Verizon to Cisco Systems cited Net Literacy and its model as a policy consideration in its Adoption and Usage Report for its programs in broadband adoption, helping the disabled, and improving the education process. The FCC cited Net Literacy’s programs that teach senior citizens computer and Internet skills (Senior Connects), the program that increases digital inclusion to K-12 students and underserved population groups (Community Connects), and Digital Literacy Corps in the National Broadband Plan presented to Congress, in part based upon our filing and a follow up conference call from the FCC to Net Literacy’s students. 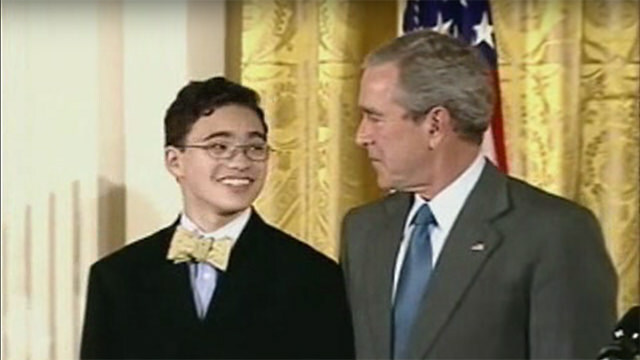 In 2003, Senior Connects began when a middle school student used the money he was saving to buy a car to pay for forming a nonprofit and purchasing computes and supplies. He began teaching senior citizens how to become digitally literate and wrote four lesson guides to help faciliate and standardize their training in ways that he hoped would facilitate their learning. Then, he gathered his friends and they all began teaching senior citizens computer, Internet, email, and social media skills. 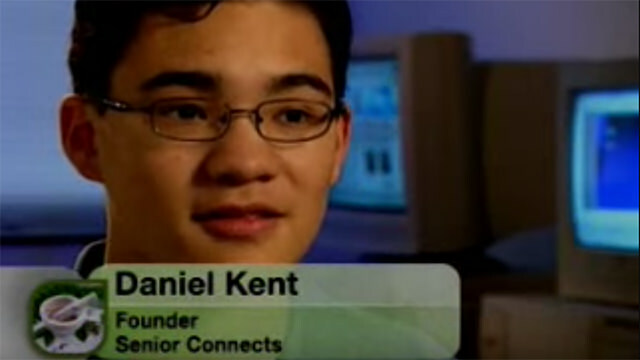 In 2004, Senior Connects was expanded to include repurposing computers and teaching youths and other members in the community. Senior Connects was renamed Net Literacy and we began receiving media coverage because our was the first time a student empowered organization helped members in their communities cross the digital divide. The media coverage was was very helpful generating awareness and increased donations so that we could continue expanding our operations to help unserved population groups. A few of our many media links are here: (link and link and link and link and link and link and link and link and link and link and link to media). In 2005, Net Literacy won recognition from two American Presidents for it’s work at Senior Connects and the Indiana General Assembly passed a resolution creating Net Literacy Day while the City of Indianapolis issued a proclamation recognizing Net Literacy. To help increase the credibility of our organization (we were freshmen and sophomores in high school), we invited Senator Lugar and Bayh to join our Honorary Board of Directors. We again focused on creating awareness and a few of our media links are here: (link and link and link and link and link and link and link and link to the media). In 2006, we launched Safe Connects and our programs received both local and national attention from a variety of national syndicated and local broadcasted television programs, including (link, and link, and link, and link and link to the media). We expanded our Honorary Board of Directors to include the Mayors of Indianapolis and Fort Wayne, several Indiana Congressmen, and the Superintendent of Public Instruction. In 2007, Net Literacy had provided service for five years and our contributions through our five novel programs were widely covered by the media, including (link, and link, and link, and link and link to the media). In 2008, our Computer Connects program received recognition (link to media), Safe Connects’s summer program was featured in the news (link to media), our made for television safety PSAs highlighted the importance of being kind (link to PSA), Indianapolis honored Intel for supporting Net Literacy (link to proclamation), Hendricks County recognized Bright House Networks for supporting us (link to proclamation), and Net Literacy received a shout out for our work, and in for increasing safety awareness (link and link and link and link and link to media). Indiana Lt. Governor Skillman joined Net Literacy’s Honorary Board of Directors. 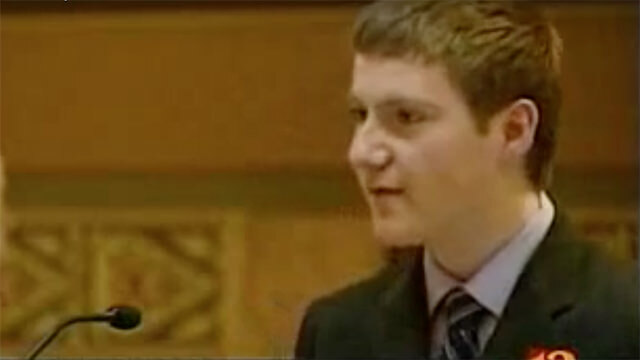 In 2009, the Indiana General Assembly passed a Joint House Resolution calling for all PEG Channels to carry Net Literacy’s Safe Connects programming. The Superintendent of Public Instruction for the Indiana Department of Education called for all schools to participate in Net Literacy’s Financial Literacy program through a communication to all Principals and Superintendents. Our program to donate computers throughout the state was gaining traction in the media (link to media), we were recognized for creating a youth empowered organization (link to media) and Net Literacy separately and then jointly filed comments to the FCC with the US Internet Industry Association (link and link to filing). In 2011, Governor Mitch Daniels proclaimed March 1st “Indiana Net Literacy and Digital Inclusion Day” and Net Literacy was honored at a Washington DC ceremony as The International 2011 21st Century Achievement Award Winner for “the innovative application of IT to extend the distribution of digital information and access to Web-based programs and services to previously underserved populations.” Click on the links to learn more: https://www.eiseverywhere.com/ehome/CWHONORS2011/21125/ and http://www.eiseverywhere.com/ehome/index.php?eventid=16786&tabid=21125. 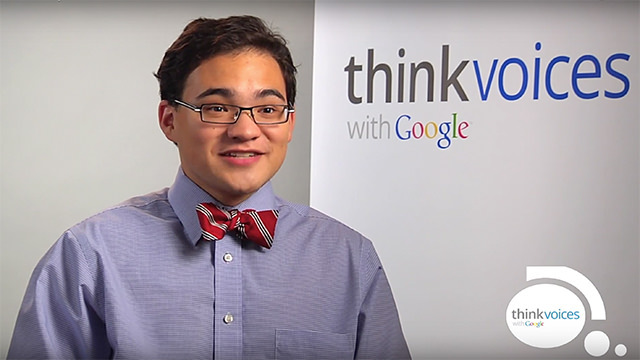 Our Senior Connects program was recognized as working “passionately to increase digital literacy and inclusion while giving student volunteers’ life and job skills, serving communities in the process” (link and link and link and link to media) and Google recognized Net Literacy as one of ten top youth empowered programs in America (link to interview). 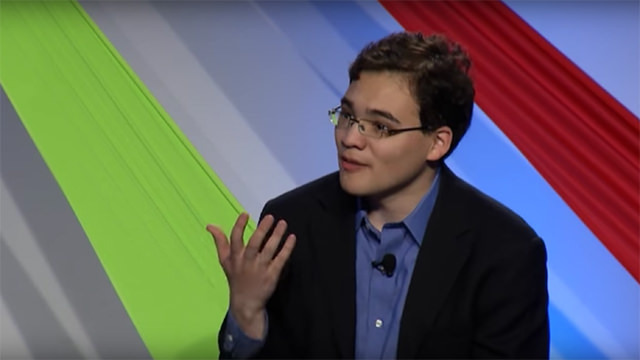 In 2012, Google, Net Literacy, and Harvard University’s Berkman Center co-hosted a “Big Tent” digital citizenship summit in Mountain View California. Net Literacy was selected as one of six broadband “best practices” to present to the United Nation’s Broadband Commission in New York City, and Net Literacy completed a three year initiative where more than 3,500 computers were donated to build or expand computer labs in more than 400 public libraries, schools, community centers, and youth-oriented nonprofits in more than 75 Indiana counties. Some of our chapters were recognized by the media (link to media) too! 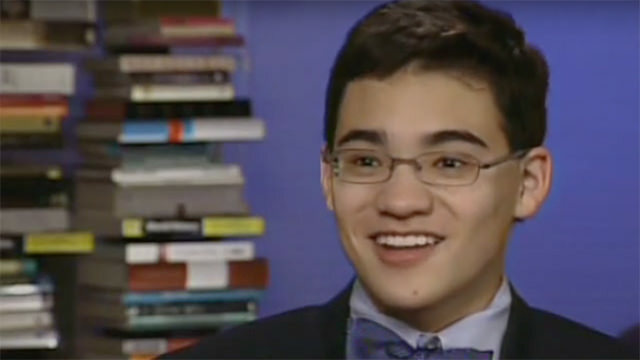 The Milken Institute highlighted our Senior Connects as one of the nine best “Programs with a Purpose” in America in their national review of the “Best Cities for Successful Aging” and as youth spokesperson (link), we took on other thorny problems like the importance of attending school every day (link to video) and enhancing one’s “net reputation” (link to video). Net Literacy traveled to Russia to teach students at Moscow State University about social media, speak at a Safer Internet Day Russia about Internet Safety, and speak about the Net Literacy digital inclusion model (link to video – 32:00 to 40:00). In 2013, Net Literacy’s student safety video content initiative produced our 100th safety video, a group of students presented safety videos together with Indiana’s Teacher of the Year and Indiana’s First Lady at a Zionsville elementary school that was recognized by the White House. This year, an average of 11,000 unique monthly visitors watched one or more of our safety videos on our website. The Indianapolis City Council honored Net Literacy (link to proclamation) and our funding partner Bright House Networks for donating 13,000 computers to Indianapolis K12 families. the City of Carmel (link to media, link to safety PSA and link to proclamation). A book highlighting 75 top youths making a difference in the world included a chapter about Net Literacy (link) and Yahoo News used Net Literacy as a source for explaining broadband (link). Indiana Governor Pence joined Net Literacy’s Honorary Board of Directors. In 2014, Net Literacy donated our 30,000th computer and passed the 250,000 individuals served with increased access to technology. Net Literacy’s digital literacy and lesson plan content is world class and companies like Google have used our lesson plans to customize their digital literacy lesson plans in Russia (http://zaprosto-internet.ru/ – they credit Net Literacy on page 2). This year, Houston Public Libraries also used our lesson training plans as the bases of their customized digital literacy program and also credited us for as their lesson plan source. Net Literacy was highlighted as an anti-bullying resource (link), was proclaimed by the City of Carmel (link), credited as being an important voice of youths (link and link and link to media) and it’s impact was included in a book linking individuals with communities (link). In 2015, Net Literacy donated our 34,000th computer and produced our 230th Internet safety video (link to media), further extending and deepening our library of elementary, middle, high school, and adult safety training content. Within the City of Indianapolis, we completed wiring our 125th computer lab and have now donated computers to over 1000 schools, community centers, and other nonprofits so that they could build, expand, or refresh their computer labs and increase underserved populations’ access to technology. A book was published that featured how Net Literacy’s youth were changemakers s the first example in the book (link), Net Literacy was highlighted as a digital inclusion “best practice” (link) by Partners Bridging the Digital Divide. Net Literacy has written dozens of safety and other digital literacy blogs and some of our blogs are being repurposed and republished (link to example). In 2016, our Computer Connects program donated our 40,000th computers and our combined Net Literacy programs have engaged more than 4500 teens as volunteers. During the summer, we produced 40 additional safety videos and now have a library of 270 videos to help teachers, youth workers, and parents start the conversation about safety with teens (link and link and link to examples of our videos). During the last 12 months, almost 150,000 netizens have visited the Net Literacy website to watch safety videos. We have also donated almost 900 computers to one hundred public libraries throughout Indiana. Net Literacy was widely covered by broadcasters and the media for our Computer Connects (link and link and link to media) and Safe Connects (link and link and link to media) programs. Net Literacy was highlighted as a best practice when creating a digital inclusion agency (link). In 2018, we decided to add a new program, AI Literacy. The AI Literacy program’s first two module will consist of a library of AI good practices that demonstrate the promise that this new technology brings and a module that helps teachers and parents explain what artificial intelligence is to middle school and high school students. This new program was created to help increase awareness and the critical thinking skills of middle school and high school students about the promise of artificial intelligence and how this new technology will impact their daily lives so that they can make discerning researching, purchasing and other decisions when online and offline. Other programs, including Senior Connects and Computer Connects continued as always (link and link) and we ended the year by donating our 43,000th computer. In January 2019, IPS’s Harshman Middle School conducted their 5th annual computer repurposing program (link) and development began to update the website to include AI Literacy and populating the site mostly with rich media content. The beta launch of AI Literacy took place in February and the formal launch will take place in June, 2019. In March, the City of Carmel proclaimed “Net Literacy Week” for the contributions made by student volunteers since 2003. At Net Literacy, we’re not tomorrow’s leaders, we’re today’s leaders!